The Gore-Tex keeps your feet dry and breathable at the same time. The outsole consists of a combination of special types of rubber and thus ensures optimum adhesion to different surfaces. 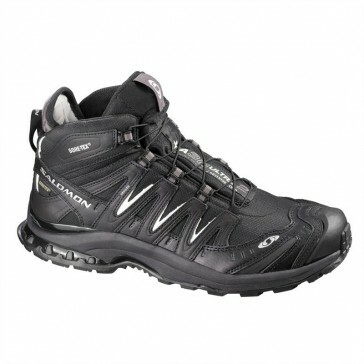 This shoe is a medium- high, multi- functional hiking shoe for fast-paced walking, even in challenging terrains. The footbed is made of special foam and an EVA heel cup. The foam provides cushioning, cooling, dry feet and a healthy climate in the shoe. It is very durable and resistant. From recycled tire rubber to protect the environment . EVA heel caps provide more support and cushioning in the heel.